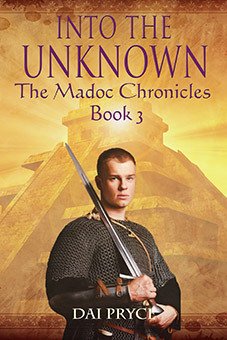 Madoc ab Owain; prince of Gwynedd and legend would have it, brave explorer of the New World.Born circa 1142 at Dolwyddelan Castle, Madoc was the son of the great Welsh ruler Owain Gwynedd. Illegitimate, as were several of his siblings, under Welsh law of the time, he nevertheless was recognized as a prince. By all accounts, the young Prince Madoc spent his formative years in the Norse city of Dublin, and likely learned the skills of sailing and ship building from his time there. 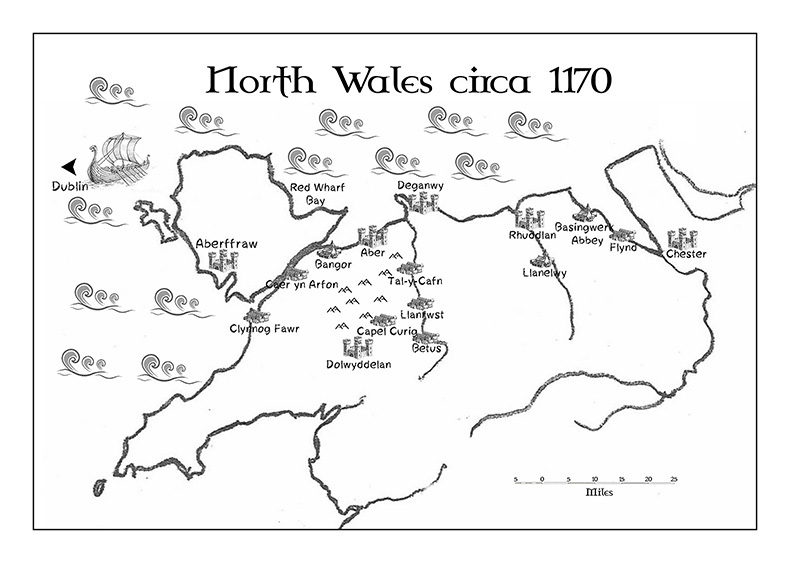 These were turbulent times though and Madoc would have returned to a Gwynedd whose borders were under constant threat from the Norman king, Henry II, from Marcher Lords and from his father’s own brother Cadwaladr. In 1170, the death of Madoc's father Owain Gwynedd leaves a power vacuum in the kingdom of Gwynedd, and internal squabbling between several of his sons. Unearthing a sinister plot to thwart his dying father’s wishes, Prince Madoc faces treachery and duplicity from those closest to him; testing his courage and resolve as he strives to see justice done. Set against the backdrop of the ruggedly beautiful mountains of Snowdonia, the story take us to the Norse city of Dublin, before reaching its dramatic climax on the Isle of Anglesey, the ancient Druidic capital of Wales. The adventure continues in the second book of the series. 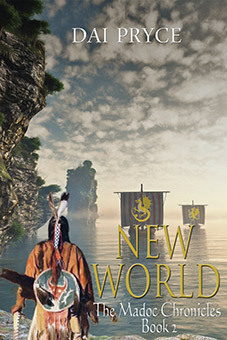 Turning their backs on bitter sibling rivalry and infighting, Prince Madoc and his band of adventurers strike out in search of a distant land far to the west known only in Norse legend and myth. They encounter an arrogant and dangerous lord, an ambitious bishop, an Irish hating giant psychopath, and a vindictive Icelandic chieftain, all the while being trailed by a deadly Welsh mercenary, as they attempt to make it Beyond The Great Water . Prince Madoc and his companions find themselves in a strange new world. Suffering tragedies and treachery that will test their powers of diplomacy, endurance, belief and fighting spirit, they travel through new domains encountering friendly and not so friendly locals, bewildering beasts, hallucinogenic liquors and mighty cities.